1921. 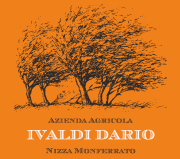 The great-grandfather Guido Ivaldi, a man with a determinated and strong personality, bought the farm together with his wife Francesca and started producing quality wines that distinguishing the family and the winery still nowadays. The name of this wine is bond to a very important date: this Monferrato Freisa wine is endowed with a big body and typical bouquet of rasberry, rose and strawberry. The name freisa, ancient species of vine typical of Asti area, may be born from the french word “ Fraise”, strawberry, to recall the specific bouquet the grapes give to its own wine. 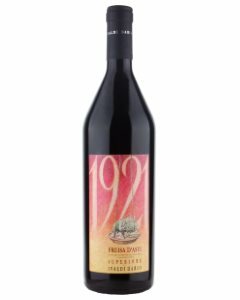 Further to a careful selection of the grapes and after 12 months of aging in wooden barrel the result is Monferrato Freisa 1921: tannins, a good structure and body, keeps at the same time the delicate notes typical of vines species. To be paired best with ripe cheeses, game and grilled “sambucano”lamb, grown in Valle Stura, Piemont.